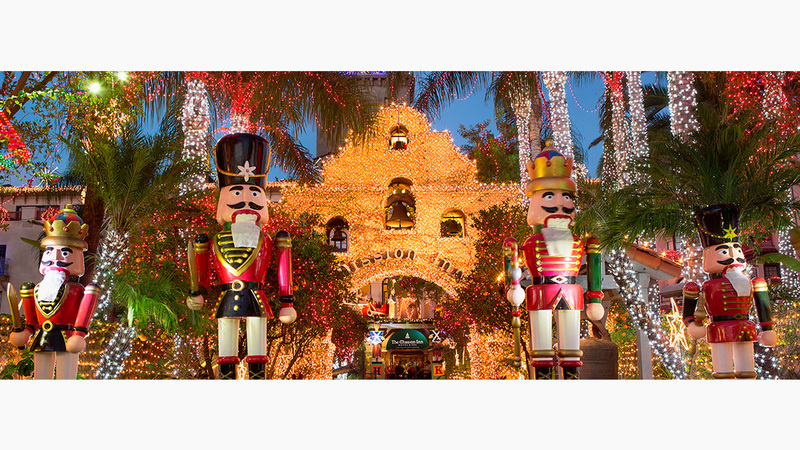 The Mission Inn Hotel & Spa – Southern California’s historic AAA-Four Diamond hotel will kick off the holiday season on November 23, 2018 with it’s 26th Annual Festival of Lights celebration a free, six-week-long holiday extravaganza featuring one of the nation’s largest holiday light collections of its kind. Now in its 26th year, Festival of Lights is an annual gift to the community from property owners Duane and Kelly Roberts, who saved the historic hotel from destruction in 1992. NextThis Thanksgiving in California. . .